The University of Benin Post UTME – Here are some vital information for every serious minded University of Benin Aspirant. 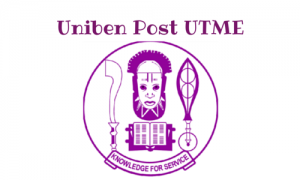 Do note that most fact and figures stated are based the recently conducted Uniben post utme. Any changes made later on will be updated on this page. Aspirants are advised to visit this page regularly. How can I complete my informative series on some of the best universities in Nigeria without talking about the prestigious university of Benin? An institution that has left her marks in the sands of time. For any Jambite (prospective student) who is considering applying for a first degree in one course or another of choice. I have done some research about the school and this piece is a simple summary of all that a prospective student needs to know before he/she applies for admission in the school. The University of Benin is a federal university located in the south-south geopolitical zone of Nigeria, in Edo state and situated in the state capital Benin, hence its name University of Benin. The school was formerly known as an Institute of technology before being renamed to the University of Benin after it was changed to a federal University. As of today the university has a population of about 50,000 students. Below is a comprehensive list of all courses offered in UNIBEN, their O’level requirements and Jamb cut-off mark. · Educational psychology and curriculum studies. Candidates who score above the specified cut-off mark in jamb are eligible to apply. Get the University of Benin Post UTME Past Questions here. The University of Benin also runs a pre-degree programme but the programme is a bit different from what is obtainable in other schools. At UNIBEN the pre-degree programme when successfully by a candidate grants him/her an admission into 200 level to study any of the numerous courses offered in UNIBEN. A joint university preliminary examination board (JUPEB) certificate is awarded to such a candidate. The programme runs for 2 semesters and a total of 12 courses is taken by any candidate admitted into the programme. Minimum of 5 credits including mathematics and English in either WAEC, GCE, NECO or NABTEB at not more than 2 sittings is a criteria of admission.